My partner and I have daily conversations about who can depart work at what time and transport our children from school to home to soccer/piano/library/name your favorite miscellaneous activity. I mentioned that we need an “Alice” to help keep our busy schedules. The Dad: Alice? Do we have zombies running around? Me: Huh? You know, Alice. Alice from The Brady Bunch. 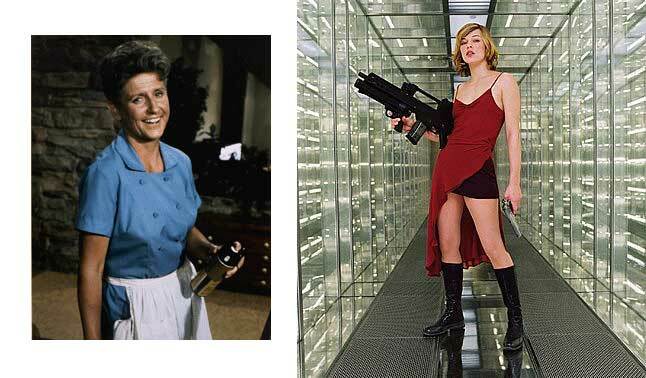 The Dad: Oh, I thought you meant Alice from Resident Evil. This entry was posted in fortitude, parenthood, perseverance. Bookmark the permalink. The real question that needs asked here is who would win in a fight. RE Alice fights zombies and you name it, but BB Alice had to juggle three very lovely girls, three boys (and we all know that boys, no matter how many, are always a handful) and was able to keep her sanity through all of it. My money is on BB Alice.